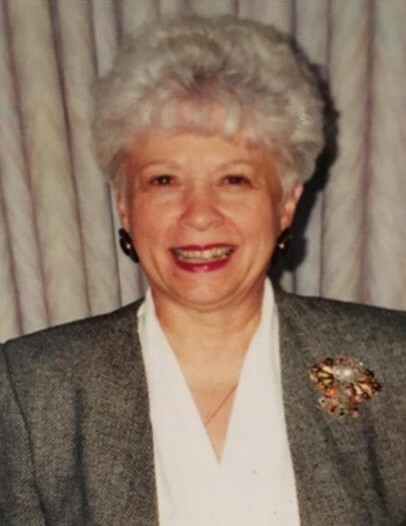 Lynne Eloise (Wiseman) Wilson, 78, passed away on November 30, 2018 at the Hillcrest Nursing Home in McCook, Nebraska. Lynne was born on August, 26, 1940 to George & Hope Wiseman in Council Bluffs, Iowa. Alongside siblings Larry, Bruce & Vicky, her childhood was spent following her father’s career with the US Fish & Wildlife Service. His work led them to North Dakota, Illinois & Valentine, Nebraska where Lynne graduated from 8th grade. Following graduation, Lynne attended Curtis High School, 180 miles from her parents’ home in Valentine. While attending school, Lynne met wild-eyed Willie Wilson. Lynne & Willie were married on October, 4 in 1958 in Falon, Nevada. While her father did not object to the union, he did object to the date as October 4, 1958 was opening day of Nevada’s deer season. Willie and Lynne resided in Maywood where their three children Kevin, Kirk & Kris were raised. While her kids were at home, Lynne was a full time Maywood Tiger sports fan and spent her time on the gridiron, baseball diamond and basketball court. After her kids graduated, Lynne sold Mary Kay and worked in a community development capacity for Dr. George Garlick & Governor Ben Nelson. Lynne also served on the Maywood Cemetery Board, Bridge Club, Lions Club, Maywood Community Hall Board, Maywood Area Community Club & the Maywood Methodist Church. Lynne loved the Maywood Tigers, Nebraska Football & the various teams her children & grandchildren were part of. Lynne is proceeded in death by her husband, Willis Stanley Wilson, son Kevin Dale Wilson, father George Lyle Wiseman and mother Hope Eloise Ogan Wiseman. She is survived by brother Larry (Sue) Wiseman of Colorado Springs, CO, Bruce (Nikki) Wiseman of Ridgefield, WA, Vicky Kirby of Gig Harbor, WA, daughter-in-law Marilyn Wilson of Maywood, son Kirk (Mary) Wilson of Imperial and son Kris Wilson of McCook, grandchildren Jared Wilson of California, Jamie (Casey) Gugelman of Kearney, Tanner Jones of Cozad, Anthony (Mindi) Wilson of North Platte, Tanna (Matt) Hanna of Imperial, Aron Wilson of Aurora, CO, Kayla (AJ) McDonald of Culbertson, Marcus Wilson of Lincoln, Lance (Megan) Wilson of Kearney and Sara (Kyle) Jensen of Shelby and 11 great grandchildren. Services will be held at 2:30 on Tuesday, December 4, 2018 at the Methodist Church in Maywood, Nebraska by Pastor Charles Nyamakope. No visitation, burial will be at Maywood Cemetery. A light meal at the Maywood Hall will follow services. Memorials at the Maywood Hall & Hillcrest Caring Facility Alzheimer’s Unit have been established in Lynne’s Honor.